What's that one beauty item that you can't live without? Lipstick? Eyeliner? Mascara? My answer will be perfume! Most of the time, I don't wear any makeup but I don't really feel comfortable leaving the house without a few sprays of perfume. I don't do it to impress anyone but myself! When Evogue New York reached out to me for this collaboration, I was elated. Cafes are everywhere - that's definitely one similarity that both Penang and Melbourne share. It's one big blessing for me because I love going to cafes...and because I miss Melbourne so much! 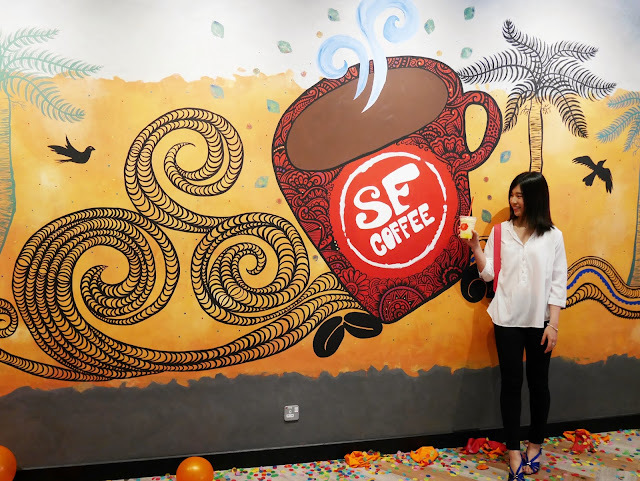 Since its establishment in 1997, San Francisco (SF) Coffee has opened over 40 outlets in Malaysia but there was never one up in the North until last week!